Artsy and Grunge overlayed edges, sometimes with old newspaper effects. Great to enhance your papers. 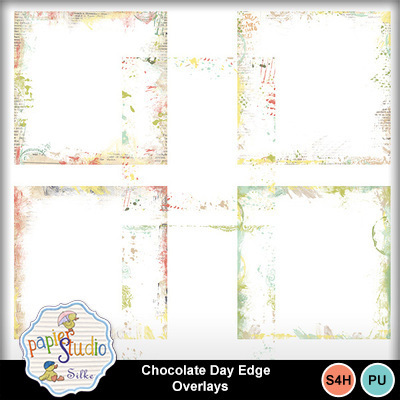 This pack also coordinates with the Chocolate Day Kit.